Explore the Danube’s Imperial Cities and Yultide Markets this festive season. Enjoy a guided tour of the fascinating Hungarian capital Budapest, imperial city of two halves straddling the mighty Danube, plus spectacular cruising along the famously dramatic Danube Bend in all its wintry splendour. 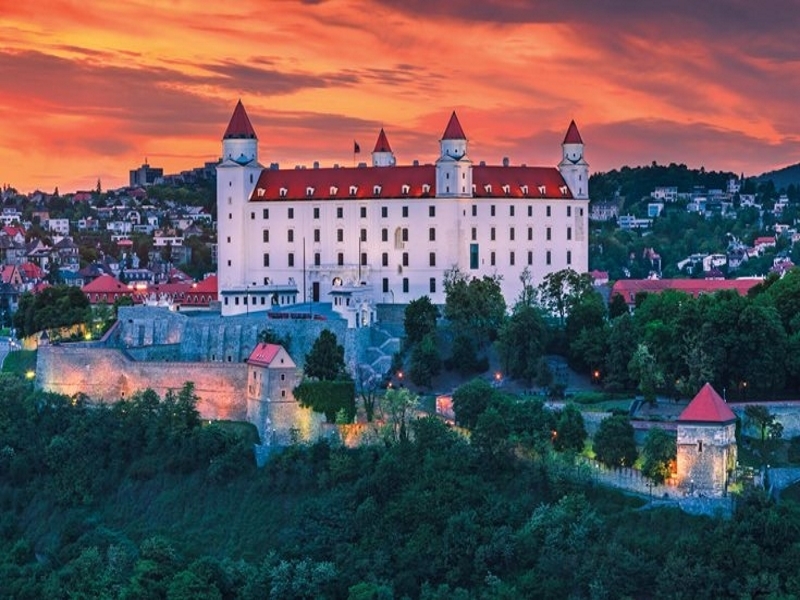 Discover delightful Bratislava, Slovakia’s fast emerging capital, on our guided tour then wander the atmospheric markets of its lovely baroque old town, beautifully restored to its former glory. After a guided tour of the grand imperial city of Vienna, seeing the main sights at this spectacular time of the year, explore some of the capital’s traditional markets with their huge range of inspirational gifts and tempting Christmas fayre. Relax on board and enjoy the stunning river views on our return to Budapest to explore further and soak up the lovely festive ambience of its seasonal markets. For more information or to book, please call 01283 742300 or click here. Please note, price based on flying direct from Edinburgh – departs various dates in December 2019 – from £989pp. Other airports and dates available. Riviera Travel is a fully bonded member of ABTA. ABTA No. V4744. The air packages are ATOL protected by CAA, ATOL 3430. Single rooms supplements apply. Subject to availability. Per person prices based on two people sharing a twin room. Additional entrance costs may apply. Cruise duration dependent on selected itinerary. The price was correct at the time of publishing and while very effort is made to ensure these are as accurate as possible, they can fluctuate suddenly due to demand.